These days when I get all wrapped up in crossing things off my list of things to do, I need only pause for a bit and look to my dog Tidbit for a brief reprieve and positive re-direction. During our neighborhood walks, Tidbit often paused to sit in the shade of a bush filled with flowers, allowing me time to take in their beauty. 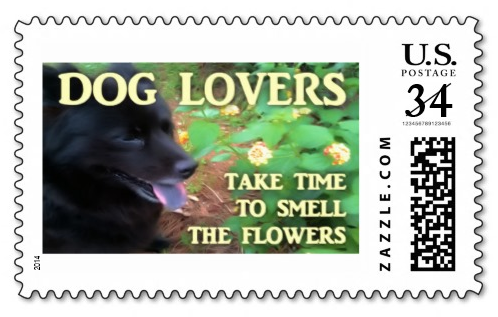 Shortly after Tidbit passed away (June 30th of 2014) I created a special postcard and postage stamp in her honor. I also enlarged the design to a life-sized view that I made into my current desktop image for my computer. 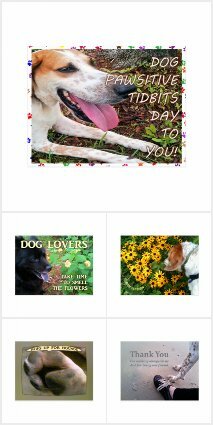 When I am missing my dog Tidbit, she is there for me to touch, from a distance. 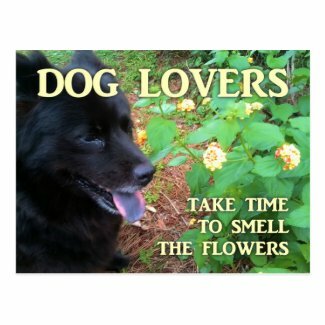 Now she is available to the whole world with her reminder to sit for a spell and take time to smell the aromatic flowers. 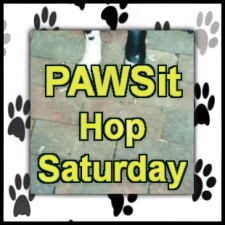 This blog post is the first of many to come your way each week in the newly created PAWSit Hop Saturday, created especially for bloggers who are also dog lovers and blogging about that fact! 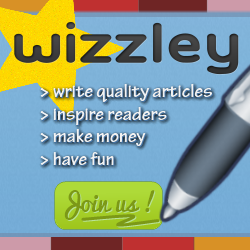 This is your official invitation to join me each week. 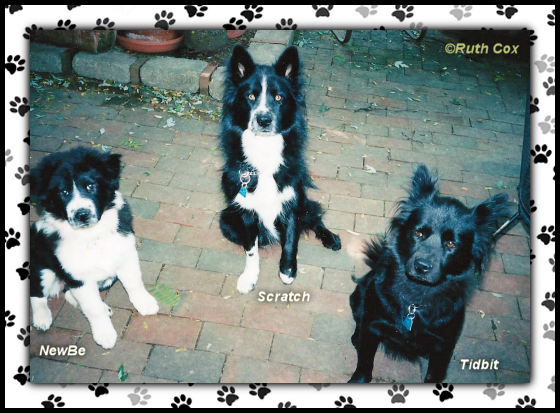 Pause for a bit of PAWSit time and link up with us!